With its lush, rain forest, cultural significance, and expansive views, Iao Valley State Monument on Maui is one of the island’s premiere visitor destinations. But, now, anyone who wants to visit will have to wait — officials say the venue will remain closed indefinitely due to extensive damage from heavy rain and flooding the night of September 13 and early morning on September 14. According to KHON 2, the flooding of Iao Stream also significantly damaged the Kepaniwai County park downstream and road to the park, which are also closed, as well as a number of residences. According to Curt Cottrell, Department of Land and Natural Resources State Parks division administrator, the state is planning to hire an engineering consultant to evaluate the stability of the lower parking lot where tour buses park. An examination is also planned for the footings of the pedestrian bridge. Due to hazardous conditions, access to the valley is currently restricted to residents only. “Our inspections show that the Iao Stream course has changed and is significantly wider, cutting into state park land that contained public access features. The stream is heavily silted and cobbled with new material and landslides on both sides of the stream are evident,” Curt Cottrell, Department of Land and Natural Resources State Parks division administrator, told KHON reporters. In fact, the rains were so powerful that the Department of Land and Natural Resources (DLNR) says that, within the lower portion of Iao State Park, sections of the two popular loop trails along the stream have washed away, and there is no longer any remaining land to rebuild them where they originally were. Although some damage is apparent, other damage is more subtle. For example, KHON reports that, on Wednesday, clear water in Kinihapai Stream, the smaller stream that passes under the park’s iconic pedestrian bridge, did not seem to indicate any landslides upstream. It seems not to have widened or changed course. However, during inspections, the stream level remained quite high, covering the base of the foundations for each end of the bridge, preventing inspection of the bridge supports. Plus, the news station repors that the turning area that tour buses take to get to their parking area is just above an area of significant erosion that may have affected the stability of the lower parking lot. “We are planning to hire an engineering consultant to evaluate the stability of the lower parking lot where tour buses park. An examination is also planned for the footings of the pedestrian bridge,” Cottrell told reporters. 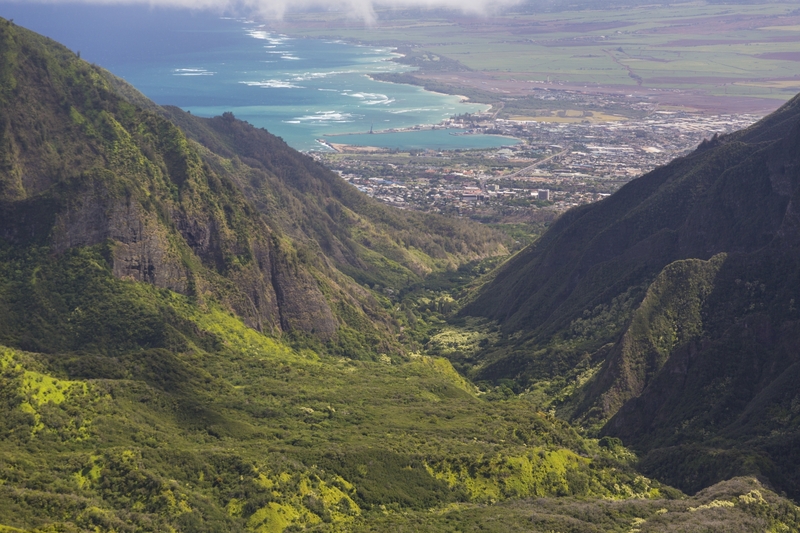 Maui is one of the most popular destinations for visitors, and Iao Valley State Park is a hot spot for tourists. No word, yet, when Iao Valley State Park will re-open. 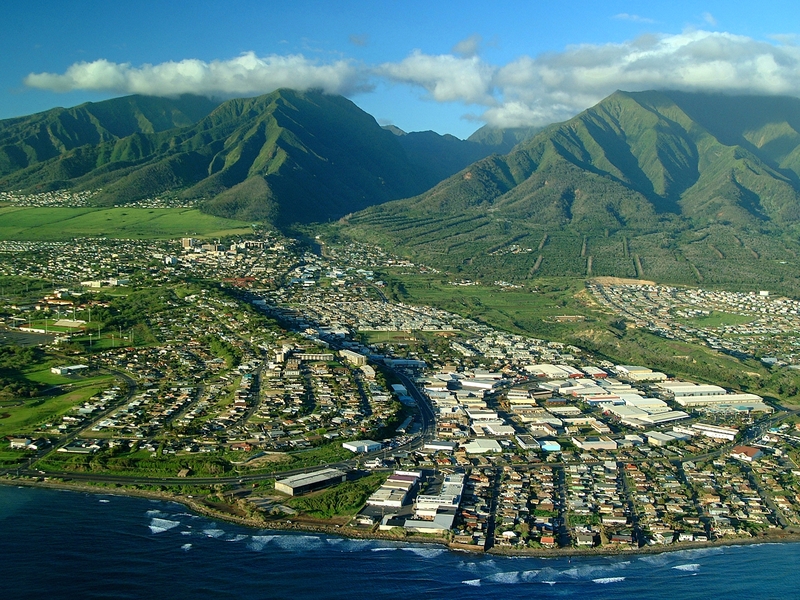 So, what’s next for the venue and WHEN might Iao Valley State Park on Maui re-open? “If the parking lot and bridge both are shown to be intact and stable, State Parks will proceed to remove debris, and allow limited access to portions of the trail, while needed repairs can be started. Access is predicated on Maui County effort to restore safe vehicular use of the lower roadway,” Cottrell told KHON. For visitors who have booked — or plan to book — a Maui Sightseeing Tour through Hawaii Aloha Travel, the closure could present a change to the typical itinerary. So, make sure you contact your travel professional as soon as possible to discuss alternative stops during your tour.